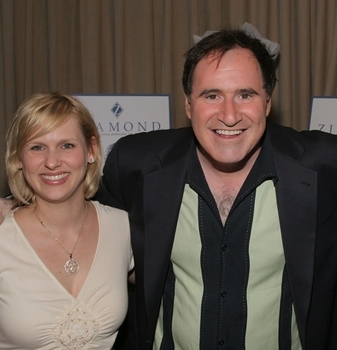 Ziamond Cubic Zirconia CZ Jewelers welcomed actor Richard Kind. Ziamond Cubic Zirconia CZ Jewelers features 14k gold, 18k gold and platinum settings with the finest hand cut and hand polished cubic zirconia cz available today. Make Ziamond Cubic Zirconia CZ Jewelers the place to go for all your fine jewelry needs.